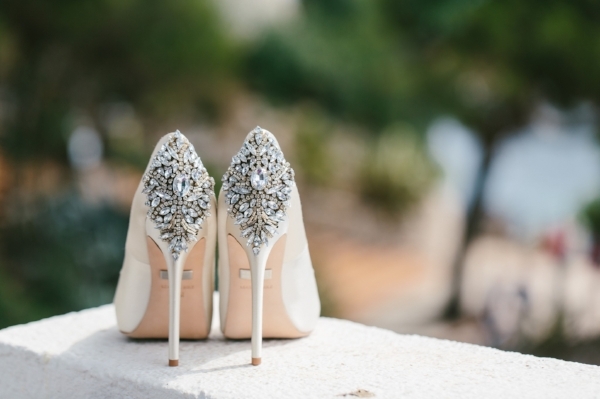 One of our favorite wedding accessories = wedding shoes! We love seeing our brides' style through the pumps, sandals, and flats they choose to wear on the wedding day. From pointed satin heels to strappy sandals, get ready to see some drop-dead-gorgeous Kelly Faetanini brides and their wedding shoes!